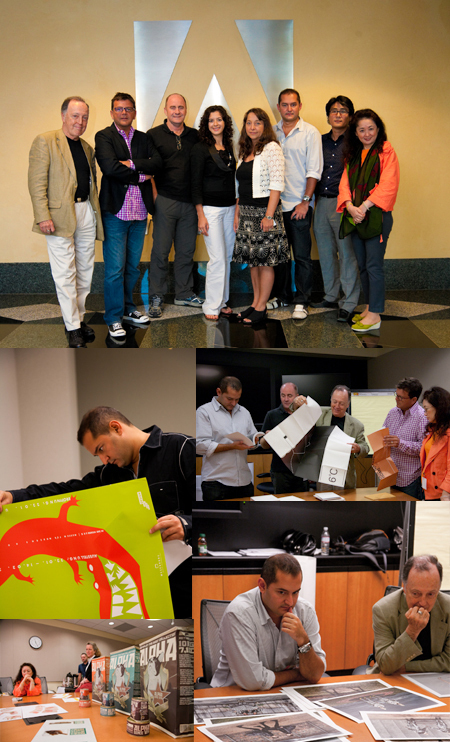 Judging the ADAA 200 awards was such an exciting experience. Not only we got to do the judging at the Adobe headquarters in San Jose, and I got to meet the other judges that have each such an impressive and inspiring career, but we also got the chance to see a lot of very, very good work. I can’t share the work of the winners, as these will be announced and showcased at the Icograda World Design Congress in Beijing, China. But it is something to look for. The Adobe Design Achievement awards became the biggest design student competition around the world, since starting in 2001. It is open to almost all countries around the world, and I think that every students should participate in it because it does not require making specific work, but it is just about submitting work already done and developed as part of your education. I was glad to see several entries from the Arab world or with an Arabic flavor- and somehow disappointed to see very little work submission from Holland. On a personal level, it was thrilling to be involved in the ADAA from the other side: I was a student winner in 2002 in two categories, and have gone through the competition process from the start all the way to the end. Being on the judging side completed the picture for me in experiencing this event, and in understanding further how a design work in a specific category, such as Print or Application design, can shine and be an exceptional work among another 2000 entries! Mostly however, winning projects can be described in few words: A solid concept, well designed and well presented, and of course with good typography.